Notes from Ladysmock Cottage: Irish Stew. 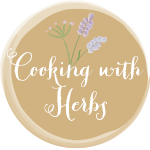 Recipes & cooking, walks and wildlife. A classic - very simple and again using a cheap cut slowly cooked with lots of veg. First chop your lamb neck fillet into bite size pieces - I use neck fillet as its cheap and fatty, which creates a great broth. In a stew pot or large saucepan get some veg or lamb stock up to heat. Brown the meat in a frying pan and add to the stock which should be on a very low heat, allow to cook for a while and remove any scum. Add chopped carrot and potatoes and season. I like to vary the size of the potato pieces so the larger ones cook slowly at the same time as the carrot and the smaller ones break up and thicken the stock. Add thyme, finely chopped and a few bay leaves and slow cook (the longer and slower the better - it also improves if you leave to cool and then reheat). Add small onions when half cooked - or chopped. When all cooked through serve. Macerated Strawberries with Mint Syrup. Salt and Pepper Squid with Sweet Chilli Sauce. Baked Mushroom with Stilton and Thyme. Lamb with Smoked Paprika & Thyme. Clams in Cider with Parsley. Purslane, Tomato and Cucumber Salad. Squid with Fennel and Tomatoes. Salmon Fishcakes with Tartare Sauce. Coddled Egg with Smoked Salmon. 47 years young, and no longer residing at Ladysmock Cottage. I am now based on the outskirts of London with no garden. Still aiming to get back into the country whenever possible and have joined a walking group to give me that extra push!